All the crypto traders have a plan to become a millionaire one day. You can read stories of Chinese Bitcoin holders unwilling to sell their bitcoin until it reaches 1 Million US Dollars . That number doesn't come out of nowhere. 1 Million USD is the average price to buy a house in a Chinese Big City. For me, being a millionaire will be a milestone in a different way. And for me, where I live , I can buy a nice house for half a million. So maybe that's my goal number to hit. But there's always room to dream bigger. 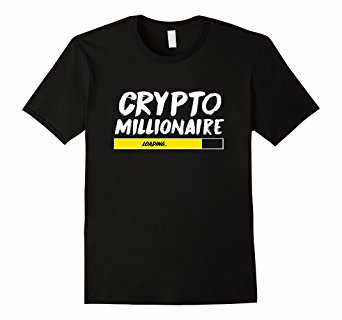 I too want to be a crypto Millionaire. I have a diversified portfolio which needs to increase 100x for me to become a millionaire. I know , it's too much to ask but you never know. I am playing the HODL for a LONG time game. If you want to start playing the same game. Here are some ideas. Buy 1 million DOGECOIN for $9000 . When it hits $1 per coin, you're a millionaire. Buy a currency that's guaranteed to succeed. I think Ripple, Stellar and Ethereum are high up there to succeed . There are many more which I haven't looked into yet. Buy a great coin/token at ICO price. Invest $1000 and get 20, 30, 50, 100 times in return. What are your thoughts? Share what's your play to become a crypto Millionaire.